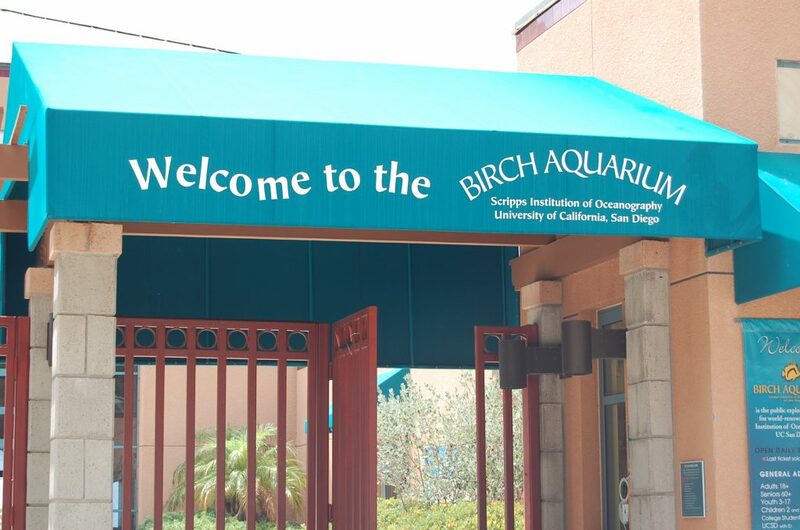 With humble beginnings in a tiny La Jolla Cove laboratory that cost less than $1000 to build, the Birch Aquarium at Scripps has now been in operation for well over 100 years and has grown and expanded into one of the finest aquariums you will find anywhere. The aquarium hopes that by educating people about the ocean and it inhabitants, that guests will leave with a better understanding of just how vitally important the world’s oceans are to every single person on the planet, and will encourage us all to make the very best choices possible regarding this most precious natural resource. Run and maintained by the University of California, The Birch Aquarium is one of San Diego’s finest scientific institutions, and a visit provides an entire day of good, clean, educational fun. From Anenomes, to Seahorses, to Jellyfish, to Sharks, the Birch Aquarium has some absolutely stunning examples of native San Diego marine wildlife. The science exhibits and presentations are also not to be missed as they are some of the finest in the nation. If you are looking for a wonderful day outing with the little ones, The Birch Aquarium at Scripps is not to be missed. Be sure to check out their display on alternative/green energy, the shark tank, and get up close and personal with some of the wildlife in the tide pools!!! 2300 Expedition Way in La Jolla, CA 92073 , and is open everyday from 9 am until 5 pm with the exceptions of Thanksgiving, Christmas, and New Years Days. For More information, you can contact the aquarium @ (858) 534-3474, Visit their Scripps Aquarium Official Website, or Email them.